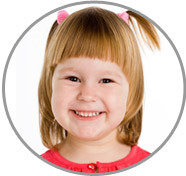 A Fairfax County Governess will keep your children happy and healthy! Donita loves working one-on-one with children and providing them with the opportunity to explore their talents and abilities as a Fairfax County Governess. "I’m honest, loyal, kindhearted, friendly, loving, and outgoing! If I was asked to describe in one sentence the reason I have chosen to be in the Nanny profession over any other, it would have to be because I love to work one-on-one with children and organize more activities that children aren’t able to do in a daycare setting. I have been serving in some form of childcare experience for over 5 years and can honestly say I love what I do! I feel children are a wonderful blessing. My goal as a Nanny is to help teach and develop different skills and to make sure that children always stay positive and know that whatever they put their minds to that they should never give up! I am willing to do light housekeeping. If I had to describe myself in five adjectives I would say that I am fun, outgoing, smart, organize, and wise. Activities that I would like to incorporate in the daily plan for the family I care for would include reading, writing, and many other different activities. If asked to describe the perfect family seeking a Nanny like me I would hope they would be down to earth, honest, loyal, and fair!" "Donita successfully completed our mandatory training that is required by the Child and Youth Program Assistance to work with children ages 6 weeks through 5 years of age. Donita has a calm nature with children and from my observation she never had any difficulty relating to the children she worked with. She is a very compassionate and loving person, and her attendance has always been dependable! She would make a wonderful addition for any family!" "Donita has been our Nanny for four years, and our family loves her like no other. She is a very hard worker, honest, reliable, and children love her. My grandson has a lot of energy, but Donita does well with keeping up with him. I’m sure if Donita provides care for your family, you will not want to let her go! Any family would be lucky to have her as their nanny! Children always know when someone truly cares and Donita truly portrayed that! She has a knack for children!" "Donita has been wonderful! She cares very well for children and knows a lot about childhood education! I love how Donita works and I truly believe that she will be a great fit to any family as a Fairfax County Governess!" "Donita is just amazing! She is the only person I trust to watch my son and I don’t know what I would do without her! She is a very hard worker and she loves what she does. I have known her for some time and I recommend her to all of my friends when they are in need of a Fairfax County Governess. I cannot speak highly enough about her abilities and kind demeanor. She is gentle, nurturing, and responsible! I know she would be a great nanny to any family with newborns and even older children! I love her!"